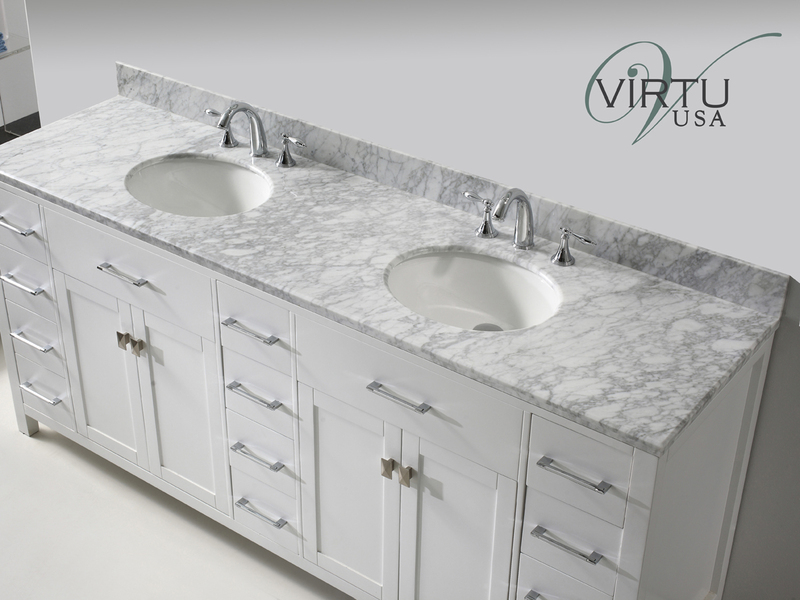 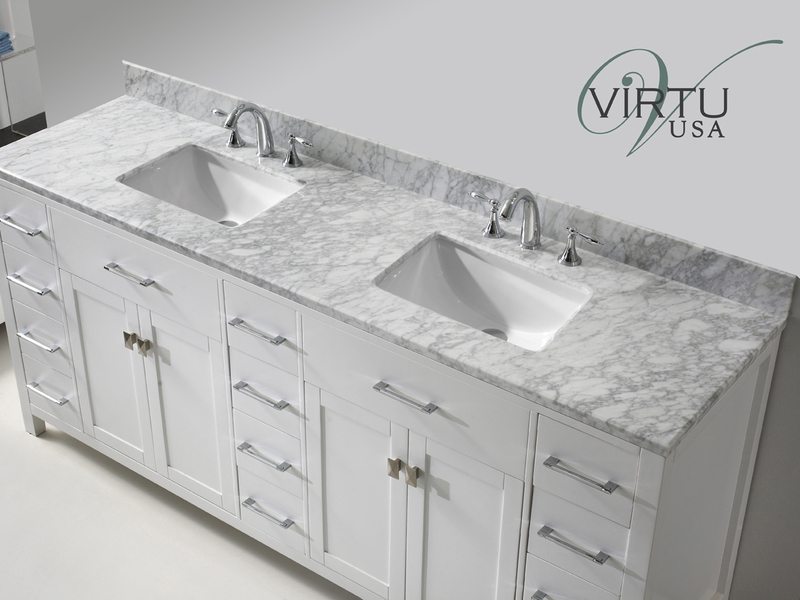 It's bright, it's stylish, it's the 79" Caroline Parkway Double Sink Vanity. 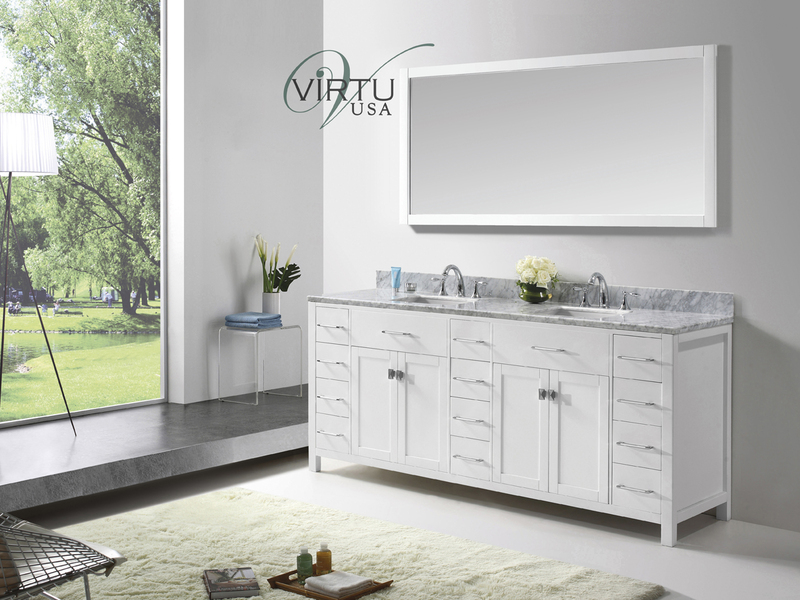 Made from solid oak and finished in a bright White finish, this vanity is here to transform your bathroom with its beauty. 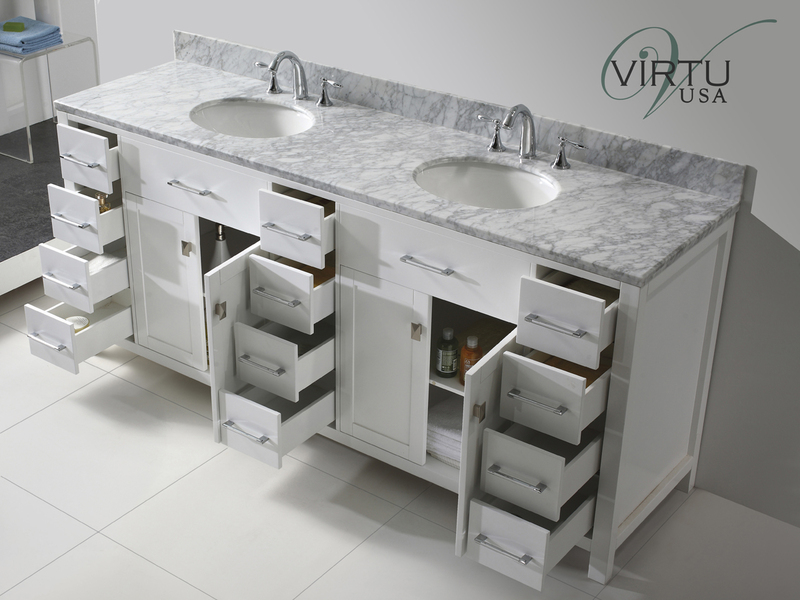 The sinks can be cut in a square or rounded shape. 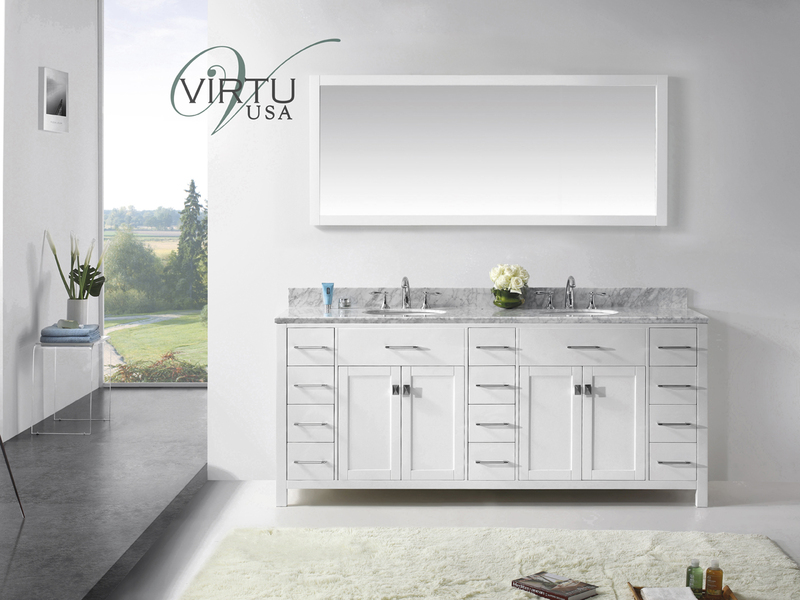 It offers plenty of storage space in its two double-door cabinets and twelve storage drawers, all of which are adorned with Brushed Nickel hardware. Mirror is included.